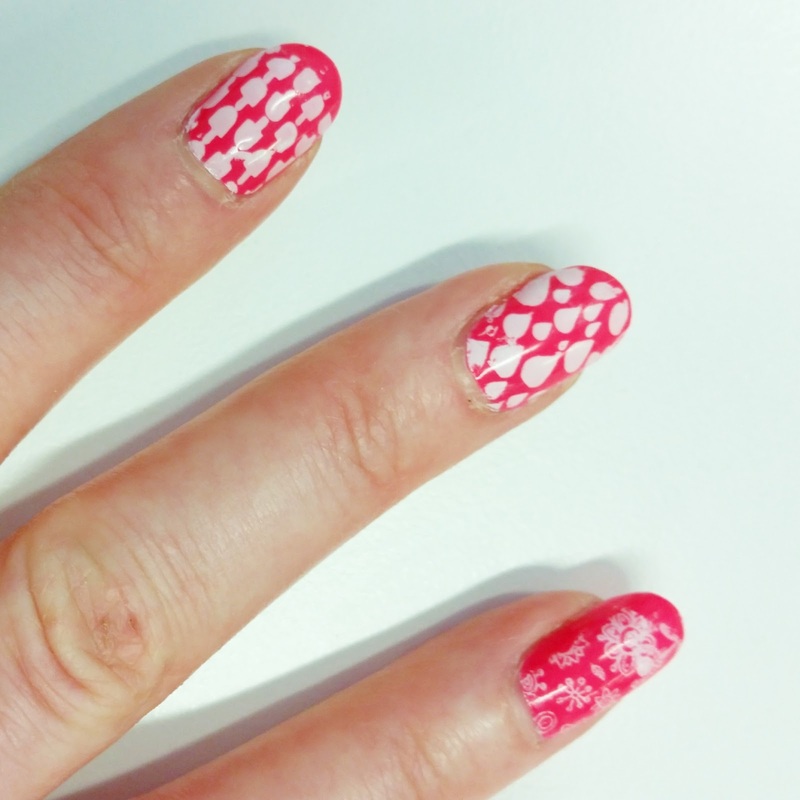 Nail art – it looks so pretty but holy cr*p it’s tricky to do. Despite my best efforts, I always end up with one hand that looks reasonably good and the other that looks like a child was let loose with a Sharpie so it’s not something I do very often. MoYou’s nail stamping kits* are pretty much the perfect solution if like me, you long for pretty nails but need a helping hand in the design department. Nail stamping is a really clever idea – it uses nail polish and an etched design on metal plates, that using a special technique, you can transfer over onto your nails to get the type of nail art you’ve always wanted but have never managed to do. MoYou specialise in nail stamping and their kits are a great place to start if you fancy giving it a try. Each kit comes complete with three polishes, a couple of design plates (these vary depending on the kit you choose), a scraping card and your nail stamper. There are a huge amount of design plates you can choose from, with designs that cover everything from Alice in Wonderland through to rainforests, geometric patterns and slogans. The method is reasonably simple – prep your nails and make sure any base colour polish is completely dry before you begin. Take your chosen plate and cover the design in a decent layer of polish. Quickly scrape off the excess at a 45 degree angle using the plastic card provided and then using a rolling motion, take your rubber stamper and roll it over the remaining polish. This will transfer the design onto the bottom of the stamper and it’s now ready to be rolled onto your chosen nail (again, do it in a smooth rolling motion to avoid smudging). Seal the design in with a top coat and you’re good to go! It takes a few goes to get used to the process, but once you’ve got the hang of it, it’s amazing at how quickly you can do both sets of nails and because there’s no complicated drawing process, it’s easy to do on your non-dominant hand. The stamped designed should last as long as your regular polish once sealed with a top coat, just make sure to give the rubber stamp and plastic scraper card a clean after each use to stop product build up that might transfer onto your next try. MoYou kits cost £29.99 each and extra stamping plates are £4.99 each and can be bought online via their website. If you fancy having a try yourself, they’ve kindly given me a set to give away which includes everything you need to get started, plus a few extra design plates to keep you going for the next few months. Simply enter using the Rafflecopter widget below and complete your chosen entries. A winner will be picked at random once the competition closes on 31st May. Due to the fact it contains nail polish and that means postage restrictions (boo), this will be a UK only giveaway.